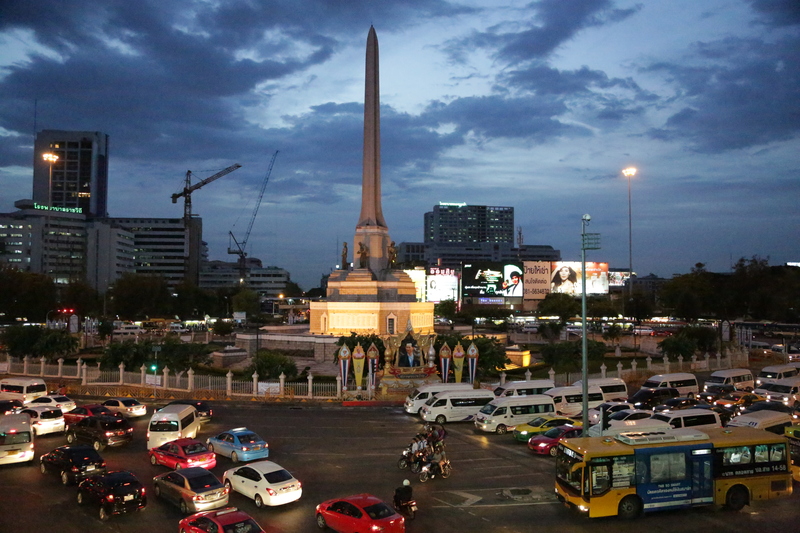 buy now Victory Monument is one of the major transport hubs. 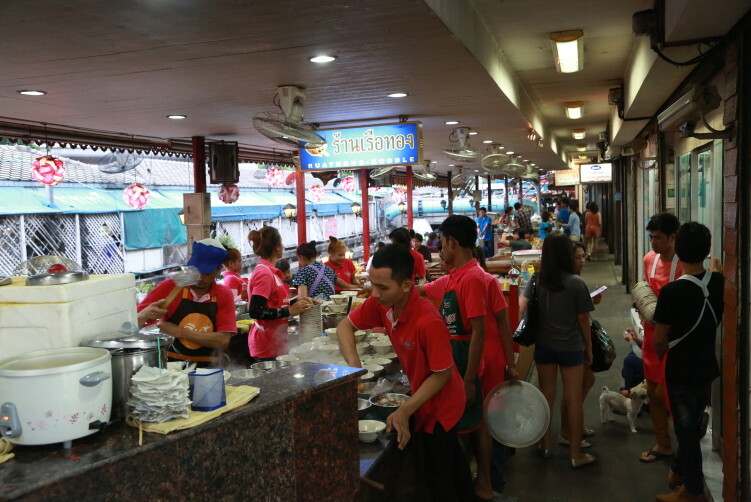 Plenty of food around. 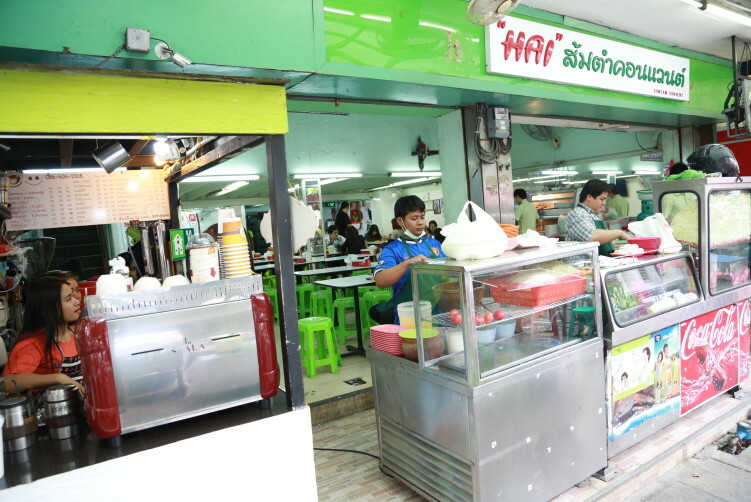 Plenyt of good food at Ari Soi 1. Take BTS to Ari, take left into Phahon Yothin 7 and then left again. 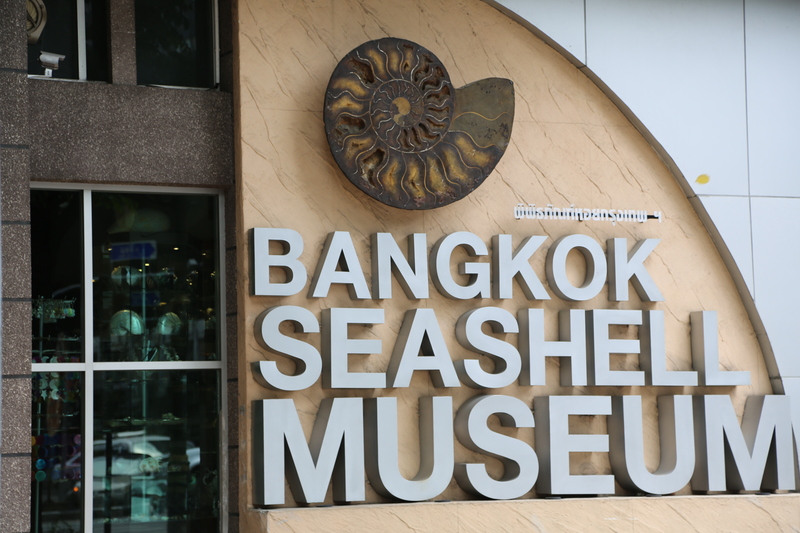 3,000 specimens of more than 600 species from all over the world The Bangkok Seashell Museum is absolutely worth an hour or so. 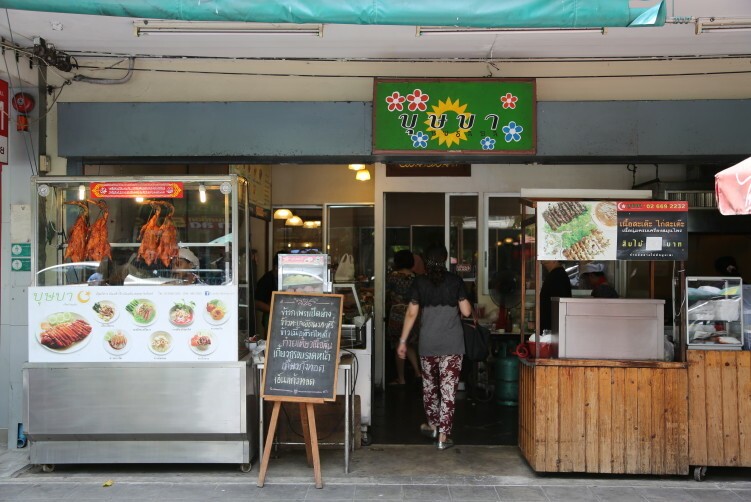 Address: 1043 Silom Road, next to Soi Silom 23, opposite Lerdsin Hospital. 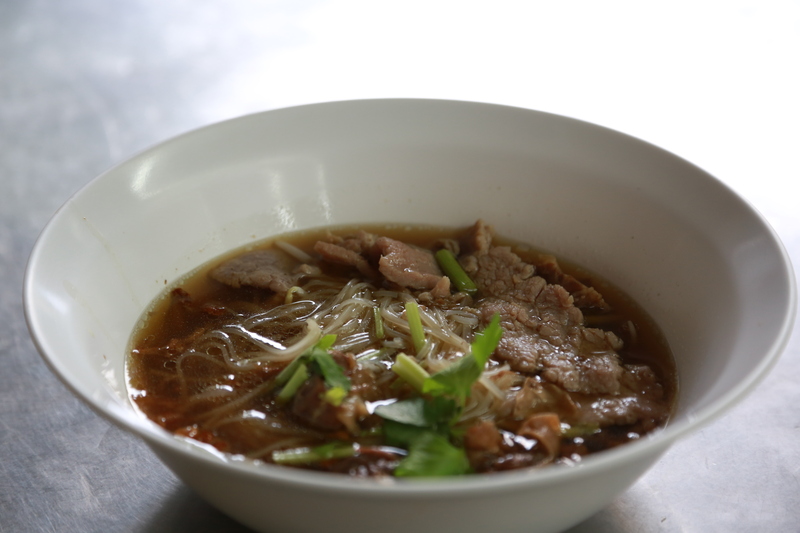 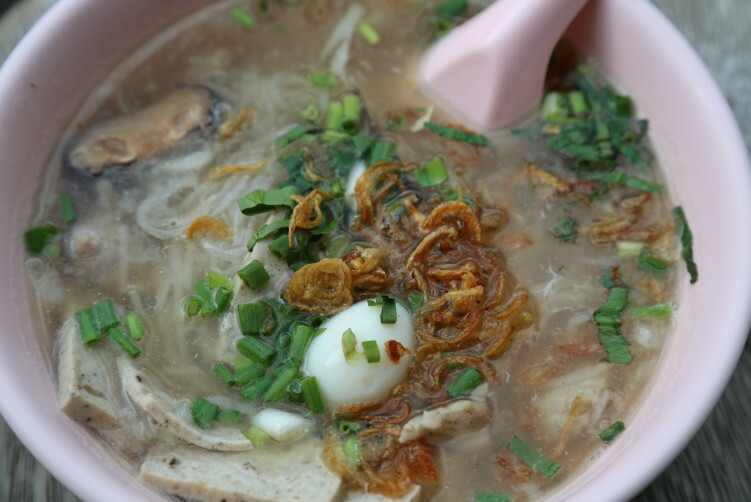 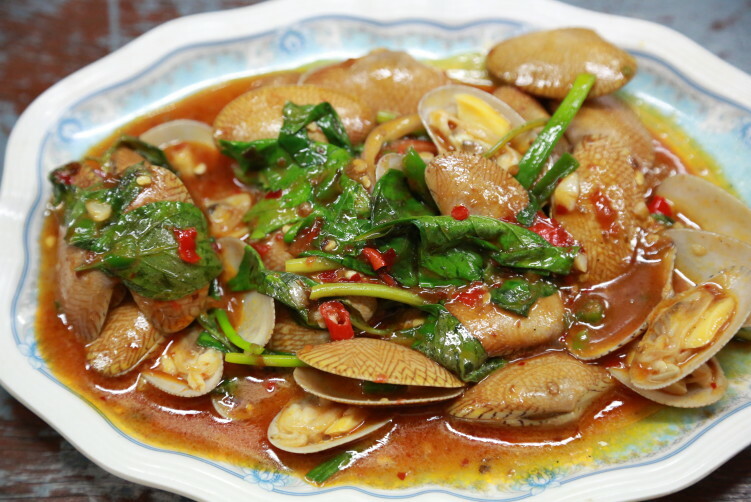 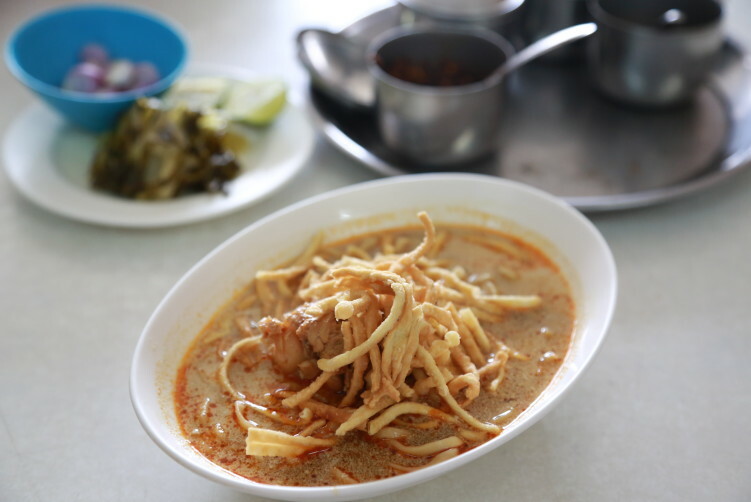 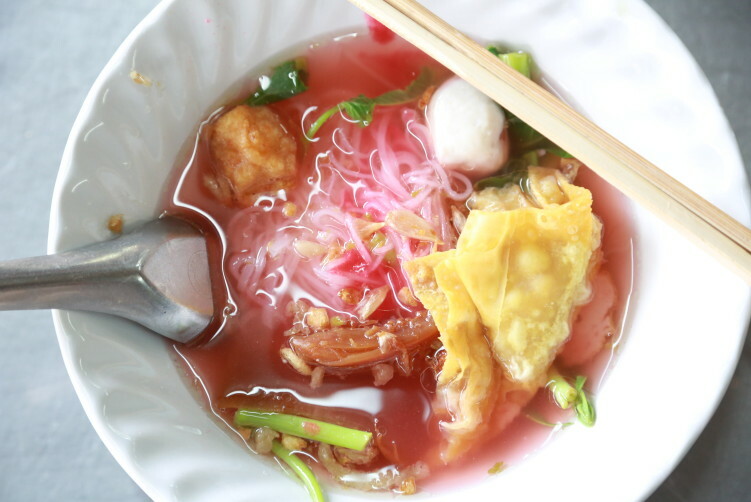 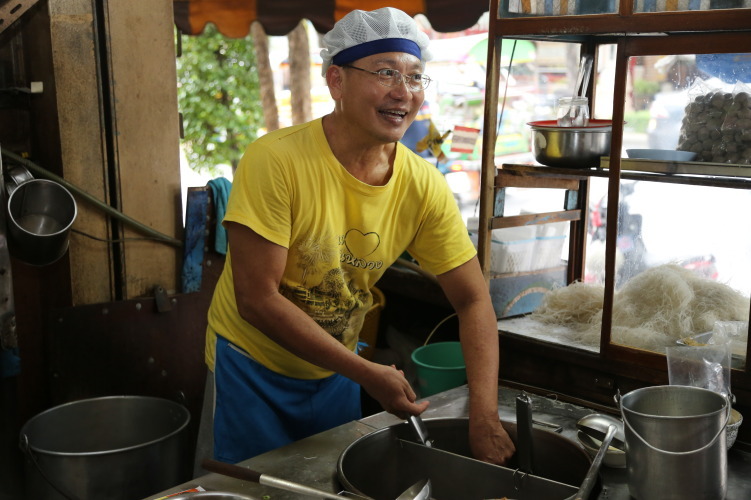 Yen ta fo is an underestimated dish among foreigners, or farangs as they call them here. 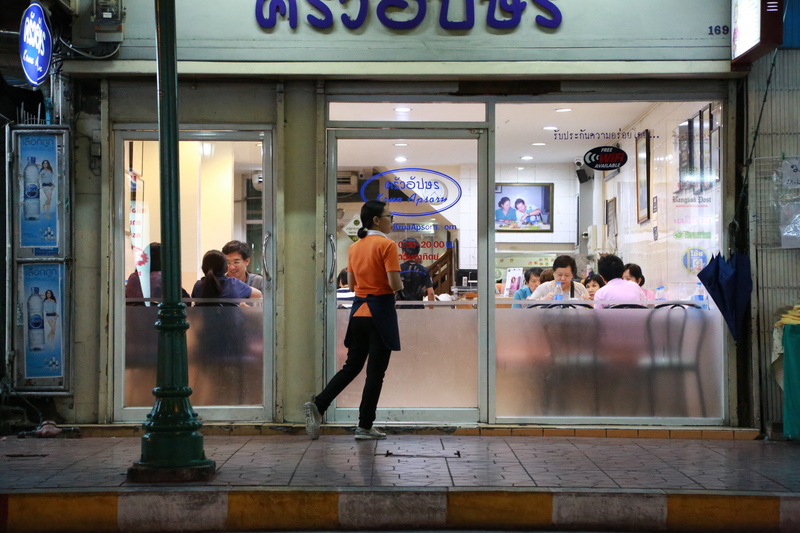 You find one of the better once in the Silom area, just of Convent Road. 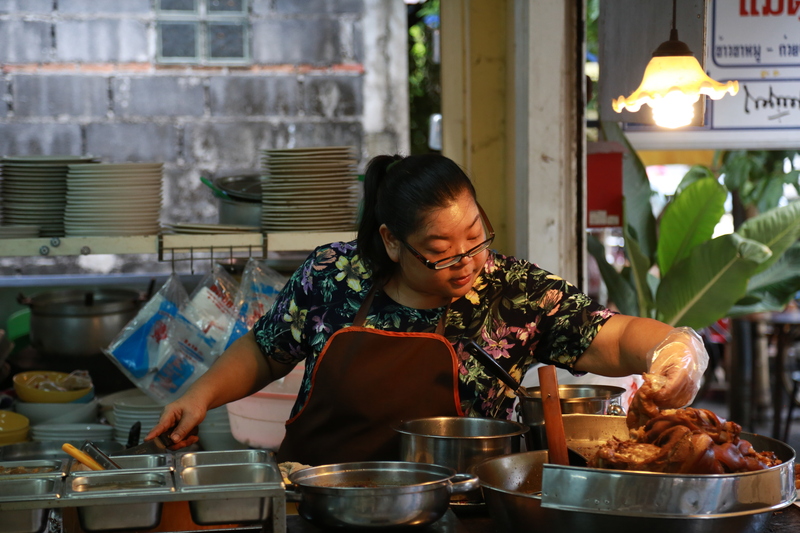 Roasted ducks is flying in and out of Rawanstar rapidly. 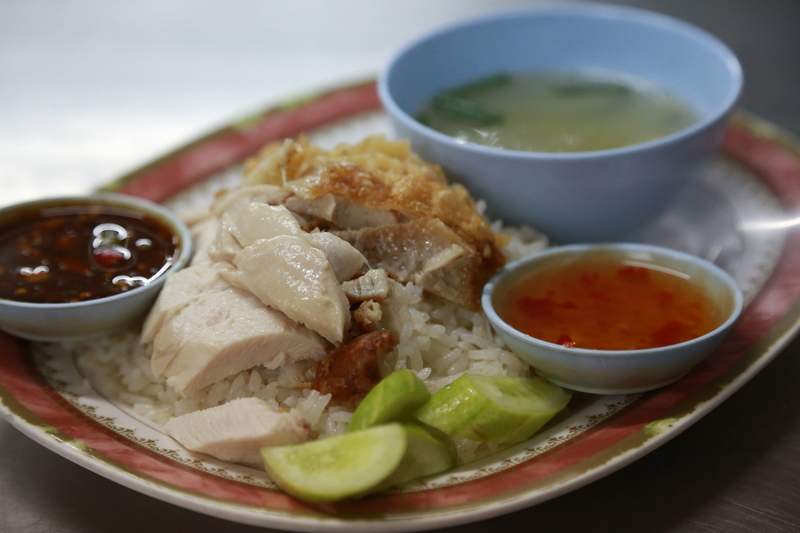 But this is not the place to duck, but to open your mouth for some incredible flavors. 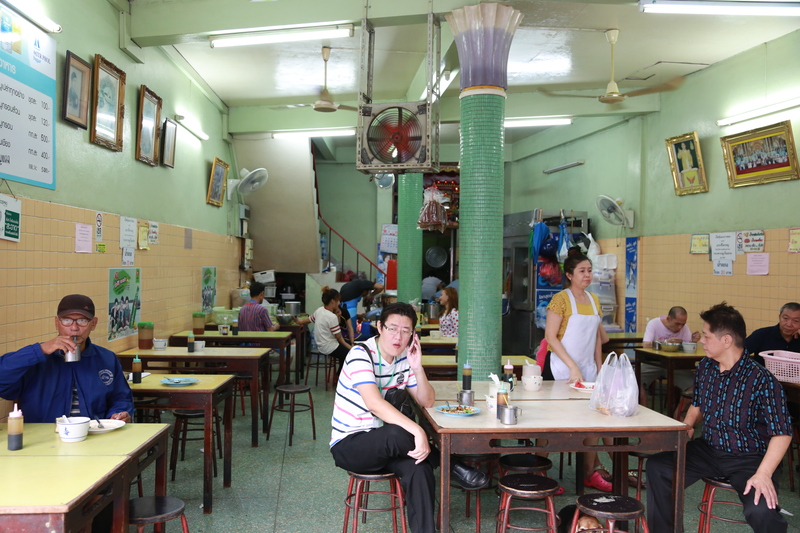 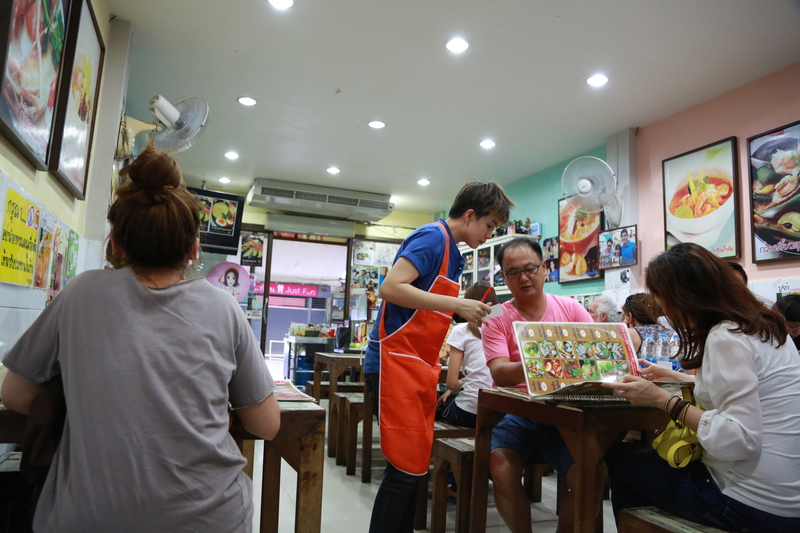 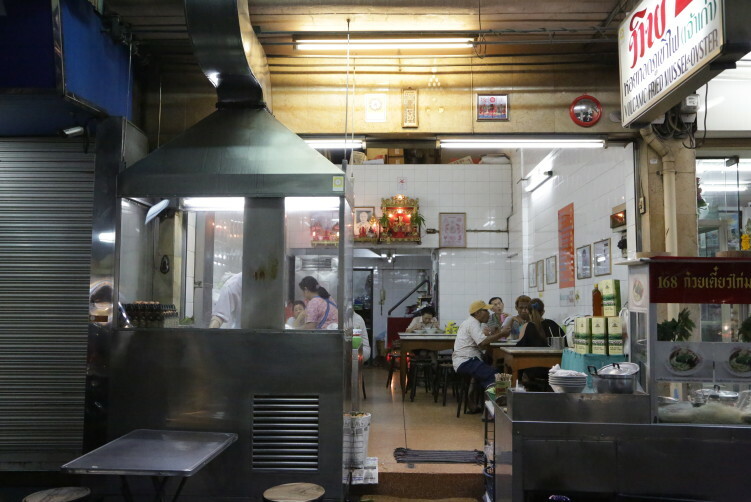 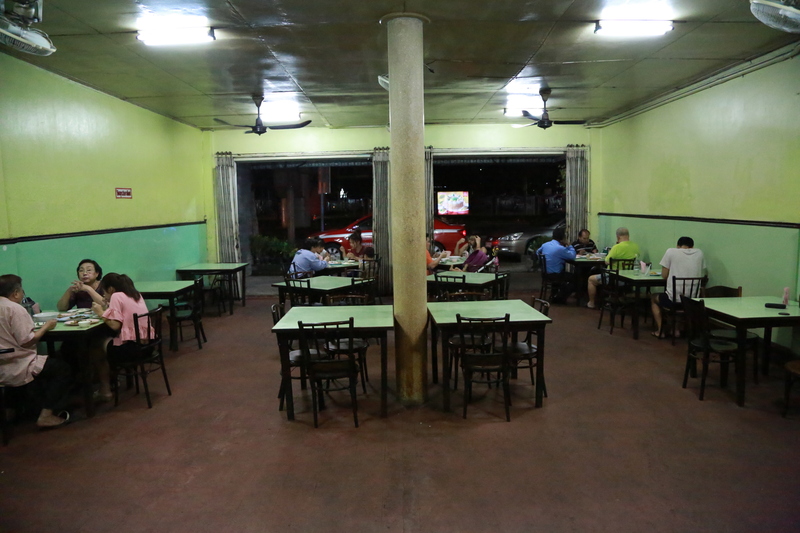 Rawanstar Roasted Duck is packed with fans during breakfast and lunchtime hours. 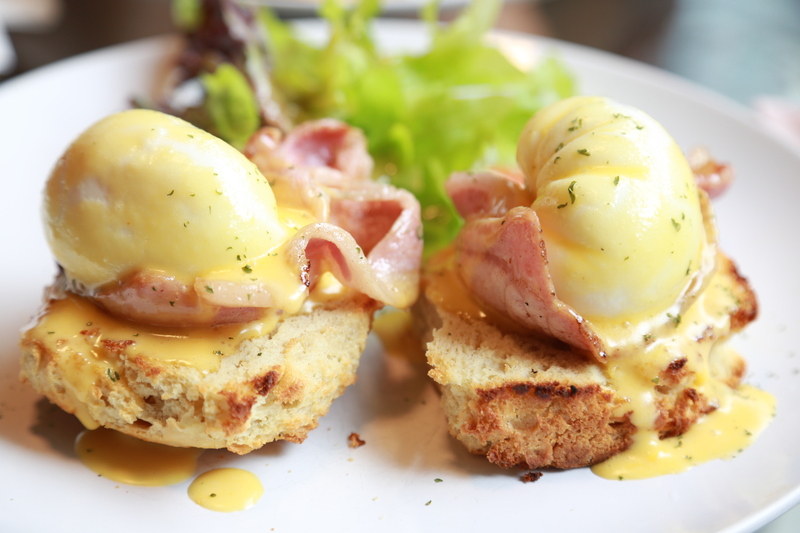 You'll soon enough understand when you put the first spoon to your lips. 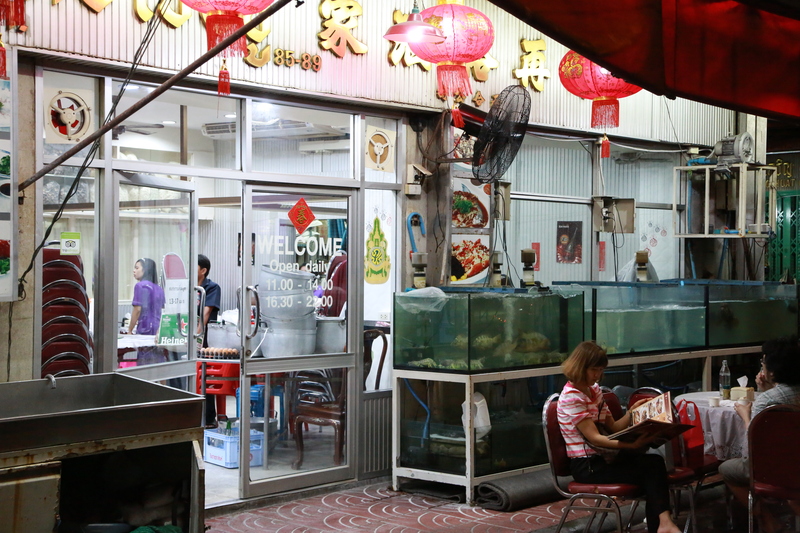 You can also have a whole duck to go if you like and many locals do just that. 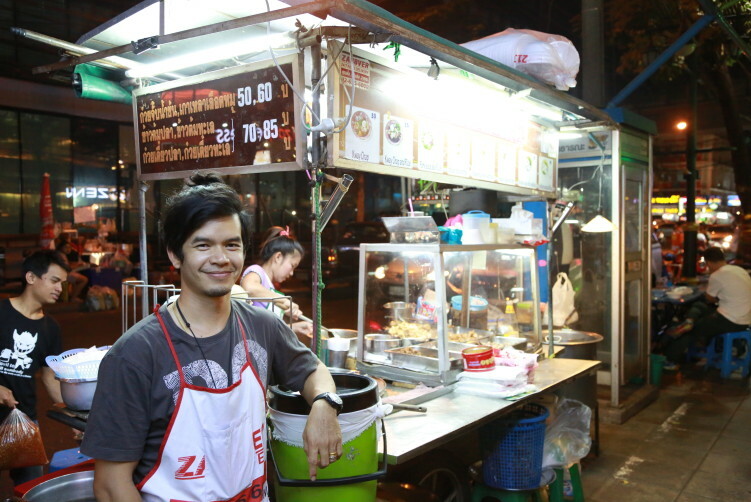 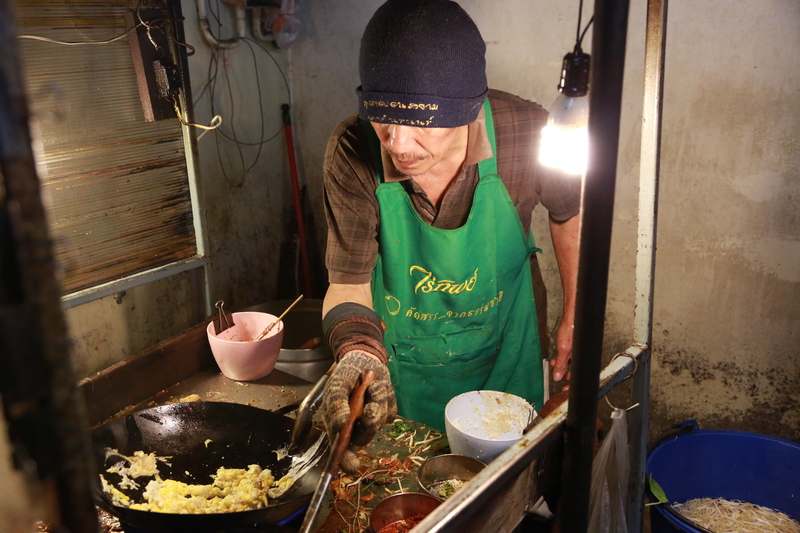 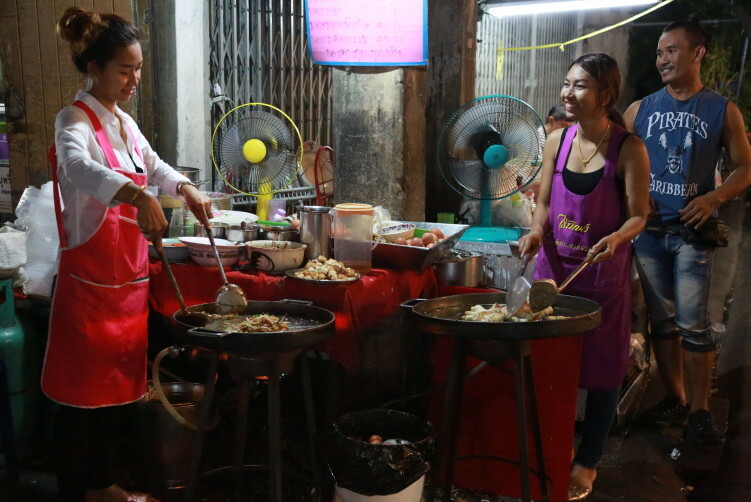 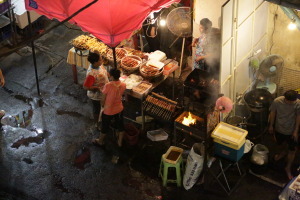 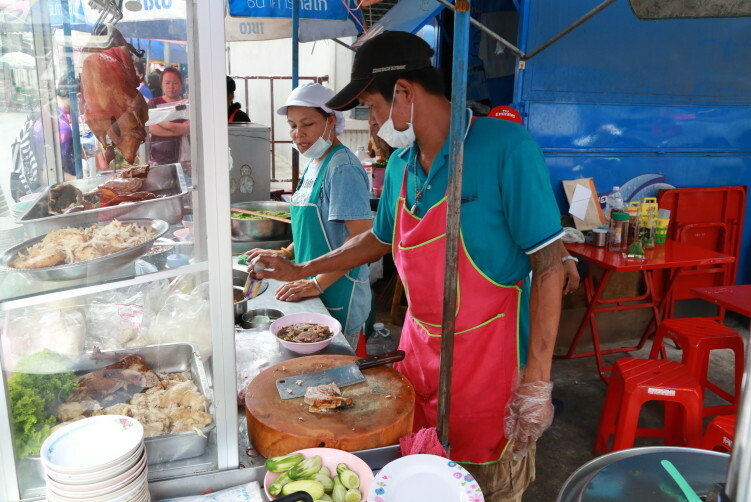 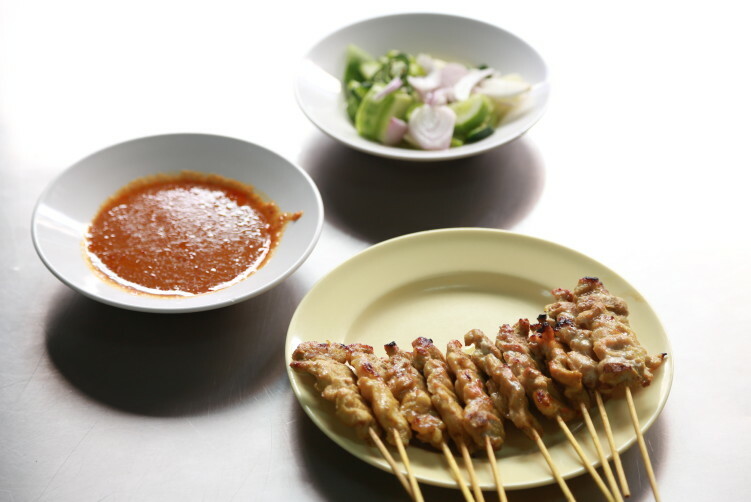 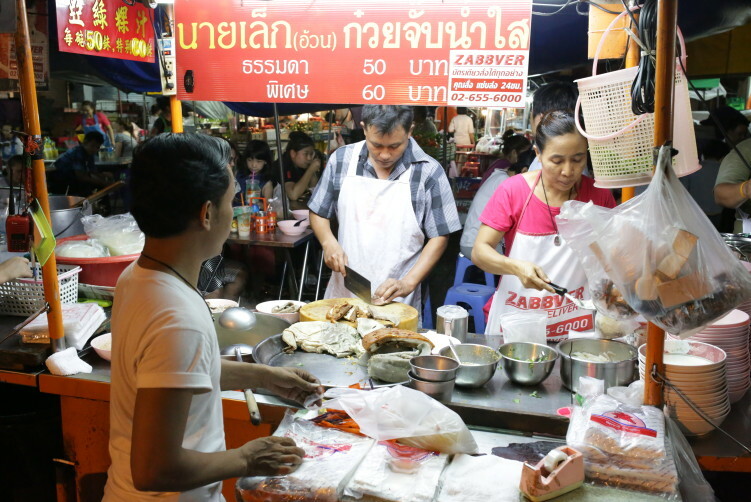 Satay's along the streets of Bangkok are not among my prime interests. 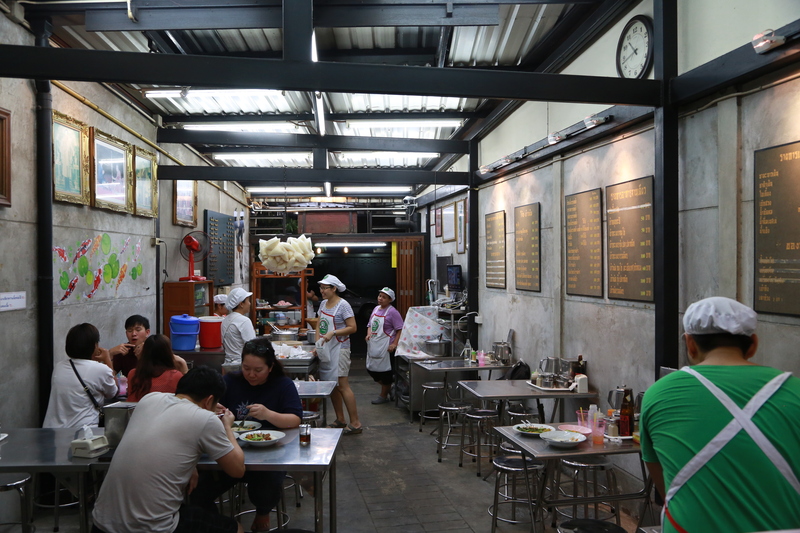 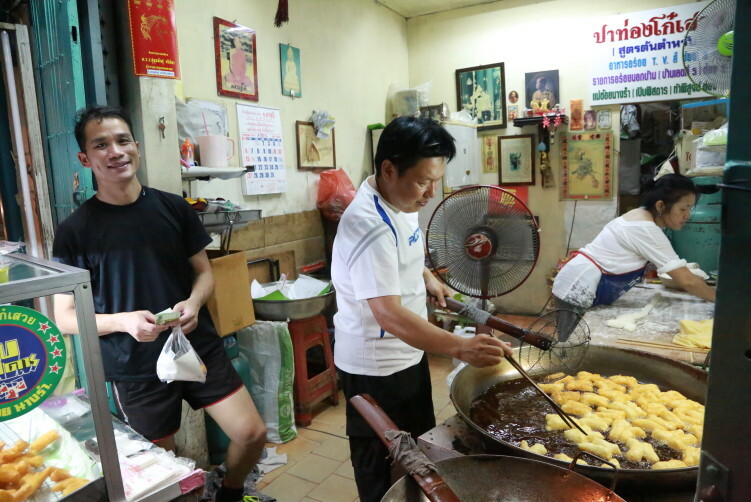 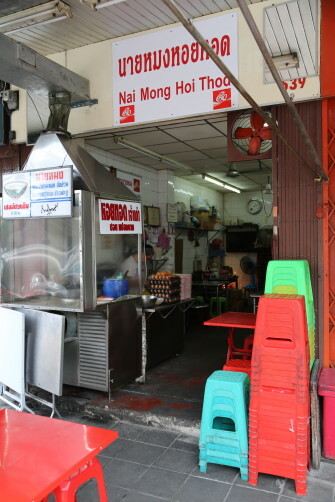 But there are exceptions, as always, and Chong Kee on the border of Bangkok's Chinatown is a true master in the art of barbequed pork satay. 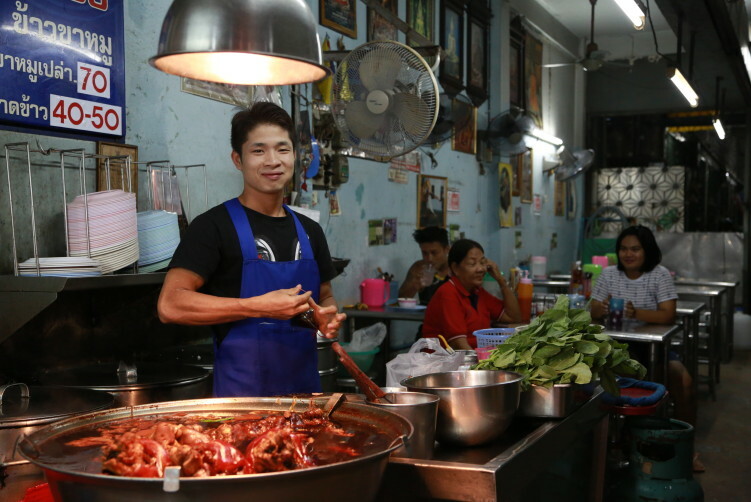 Which of course could be the answer to why the owner Vichai Lumlerokit also have barbequed for the royal family. 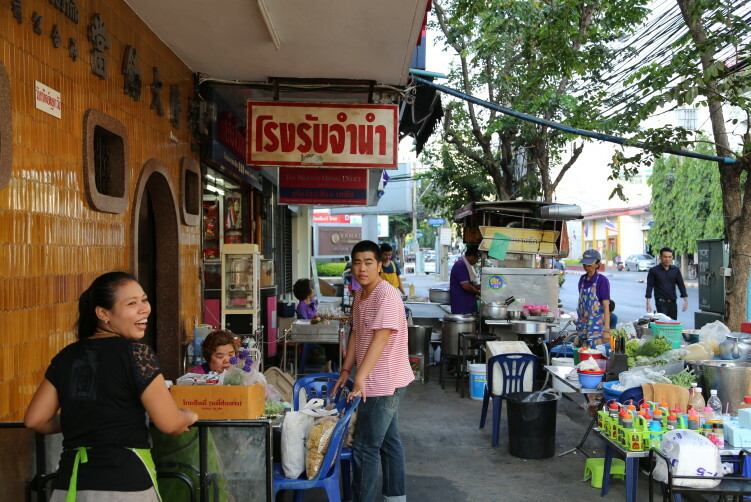 A perfect bonus is the temple Wat Traimit just 100 meters away. See StreetsideBangkok.com for full review. 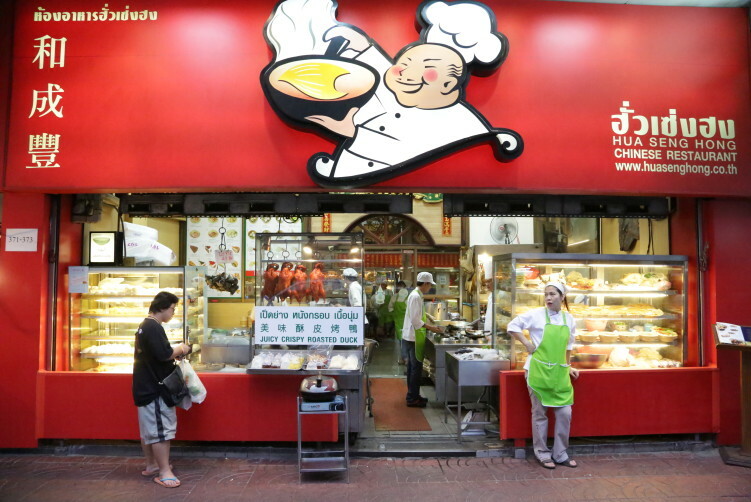 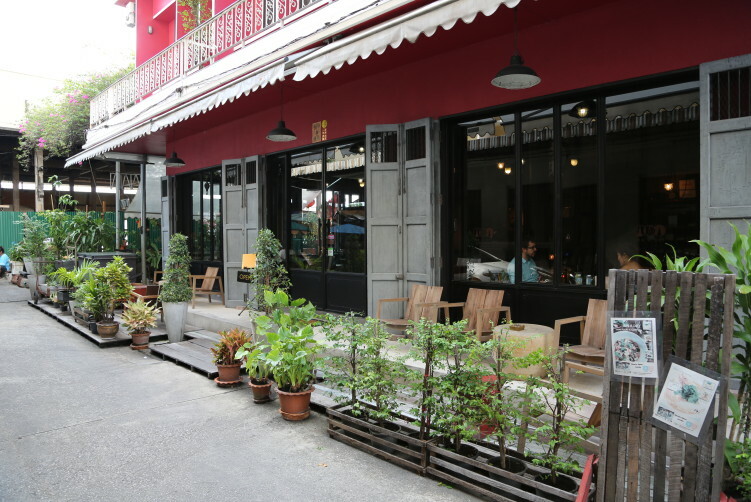 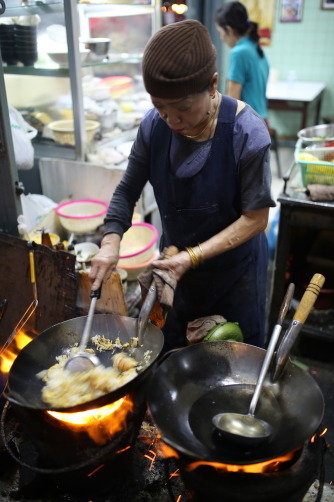 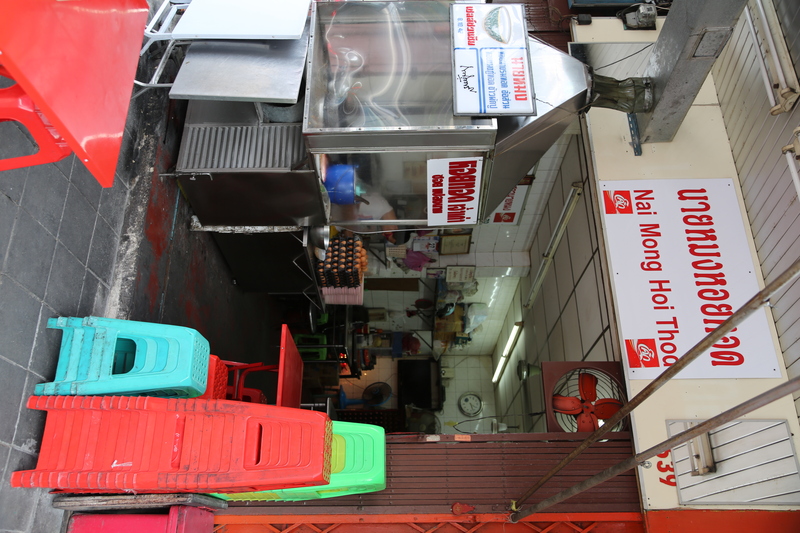 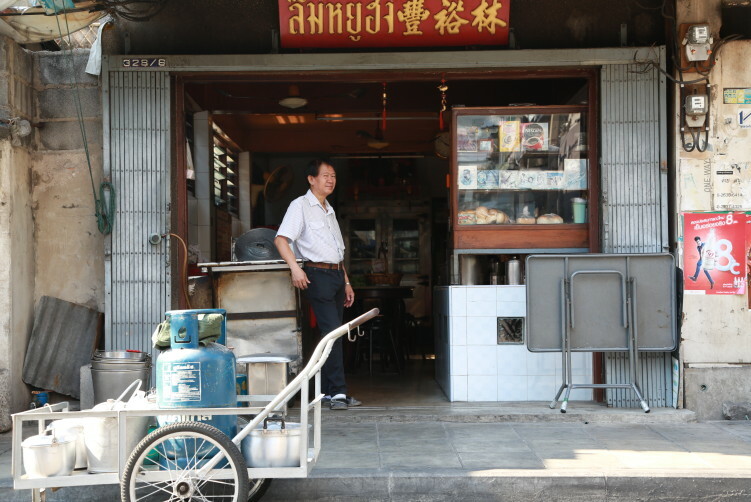 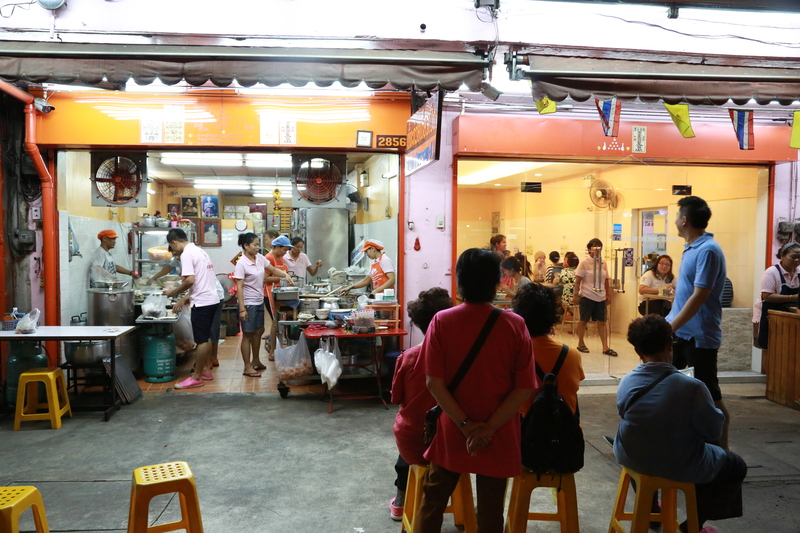 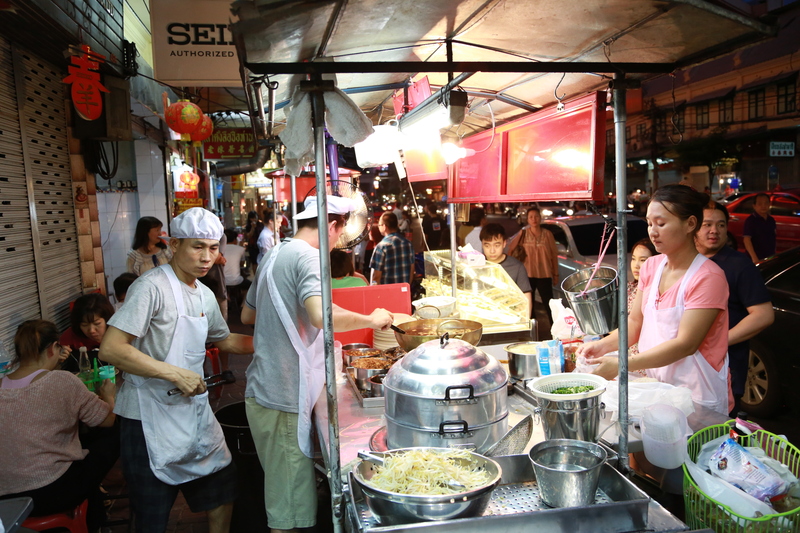 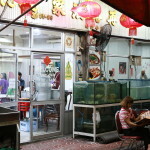 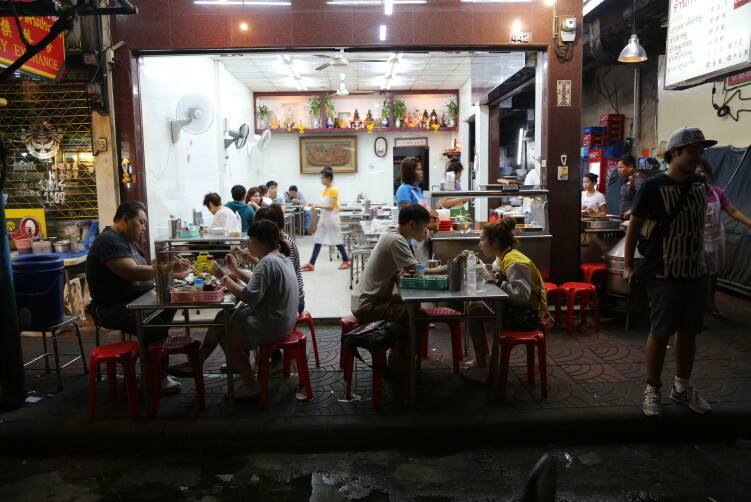 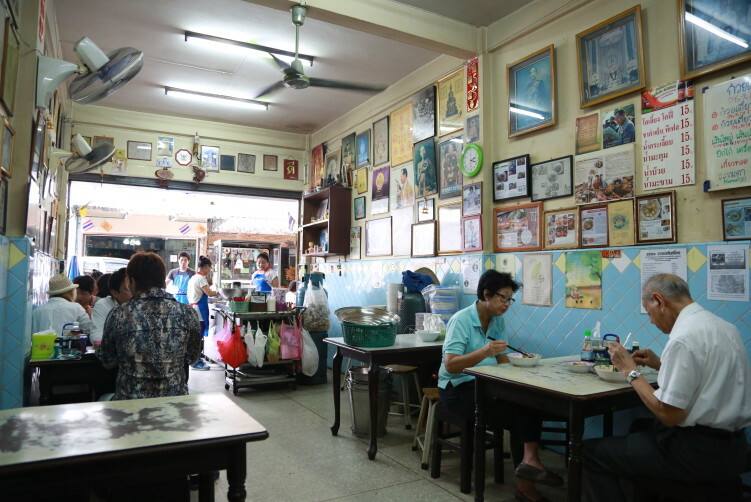 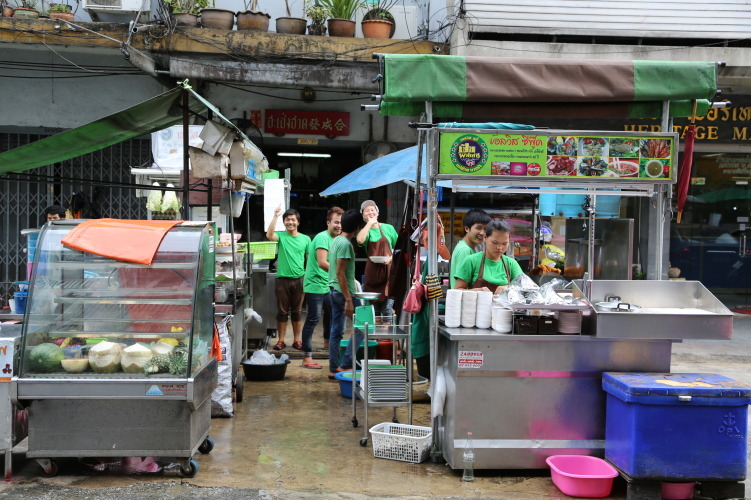 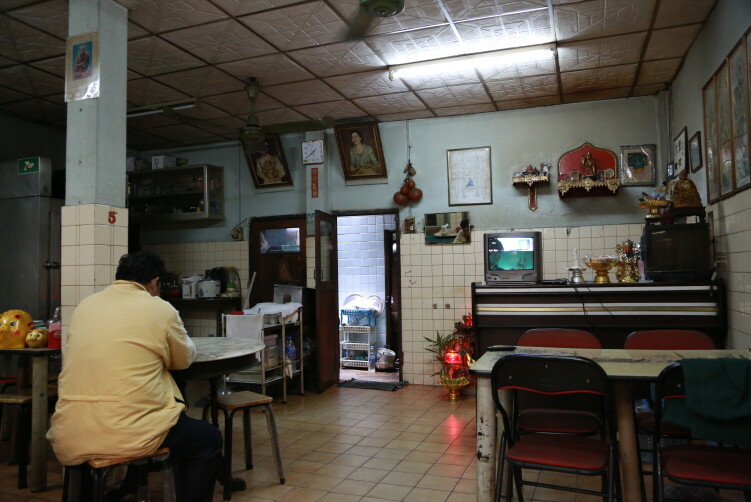 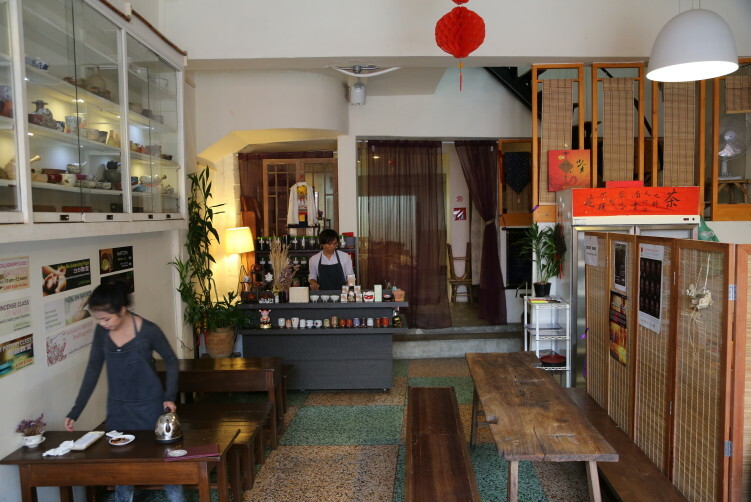 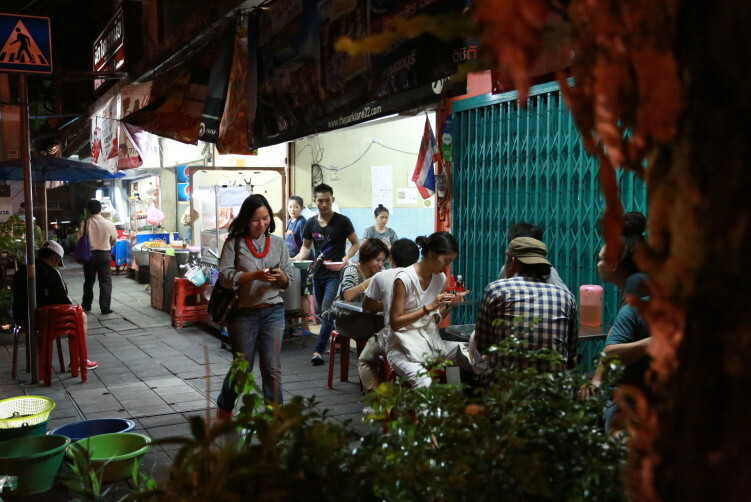 One of Chinatown's better street food stalls is to be found close to the design hotel Shanghai Mansion on Yaowarat Road. 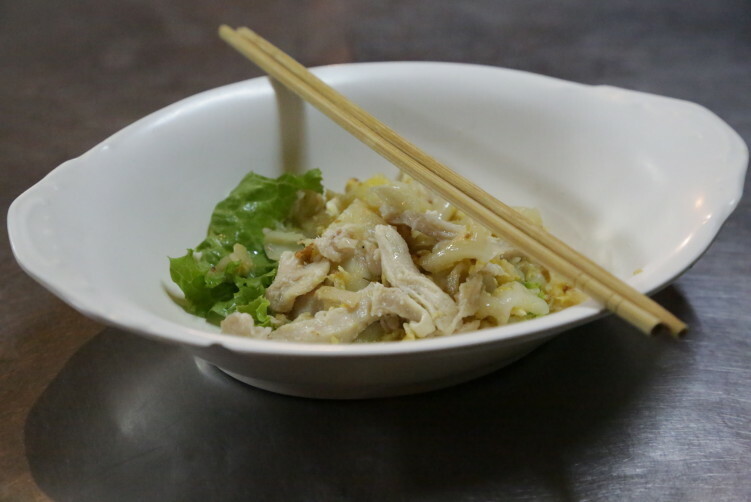 The rice noodles comes with bean sprouts, pork, calamari and shiitake mushrooms. 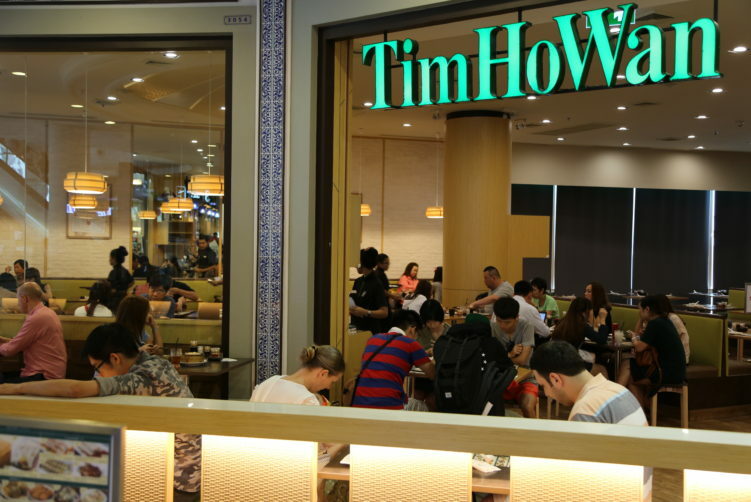 Everything drowned in a soy-based sauce. 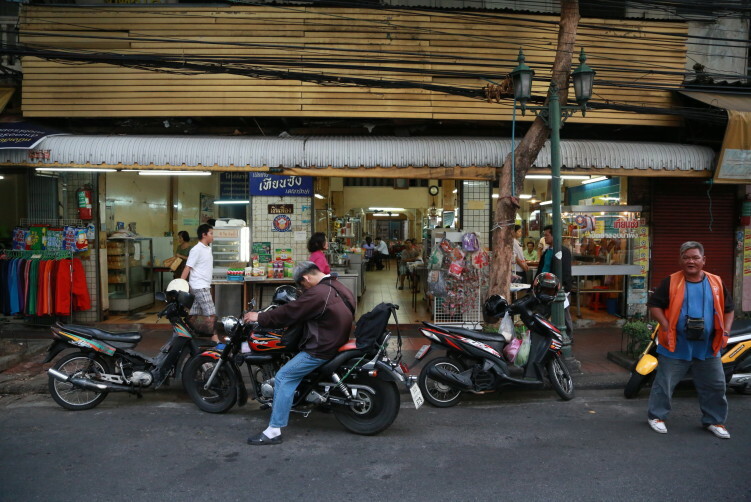 See full reveiw at SteetsideBangkok. 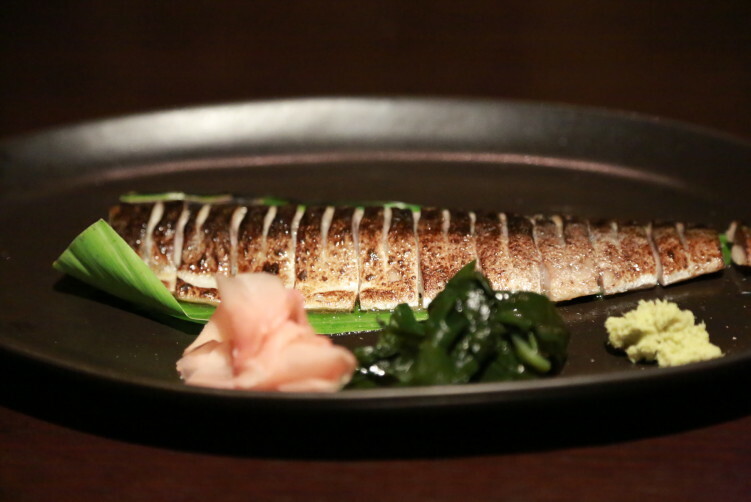 What about some Japanese delights. 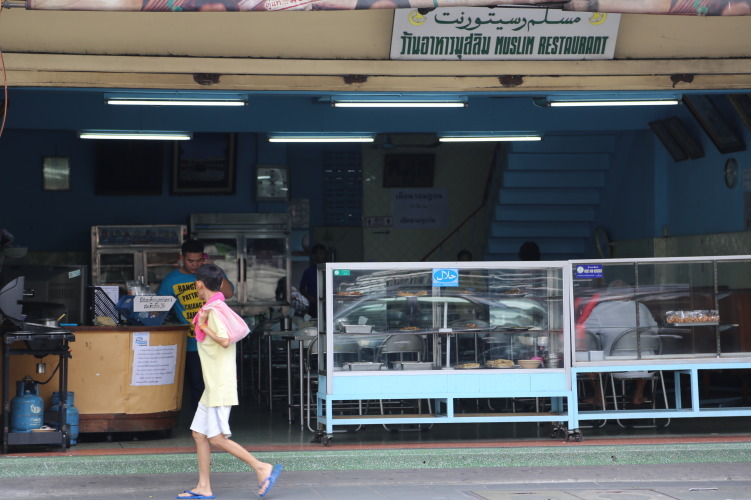 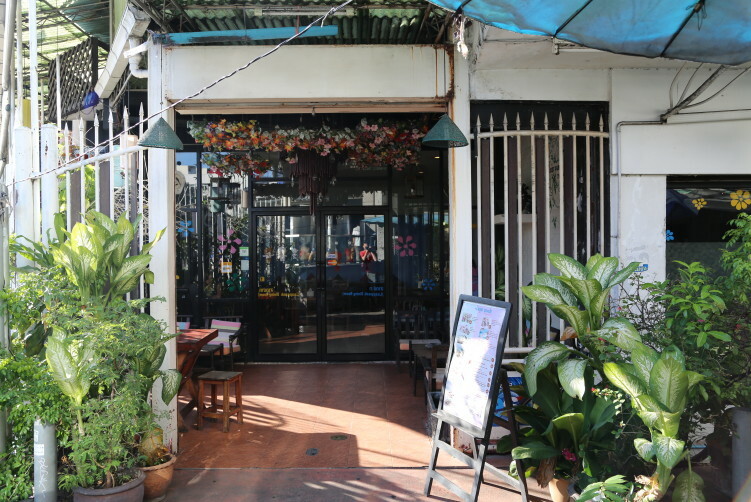 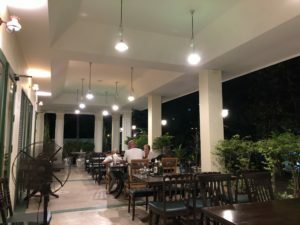 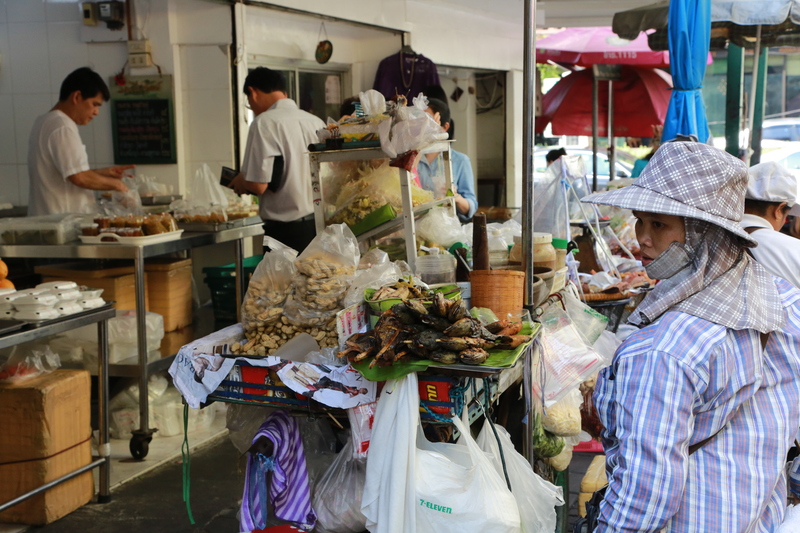 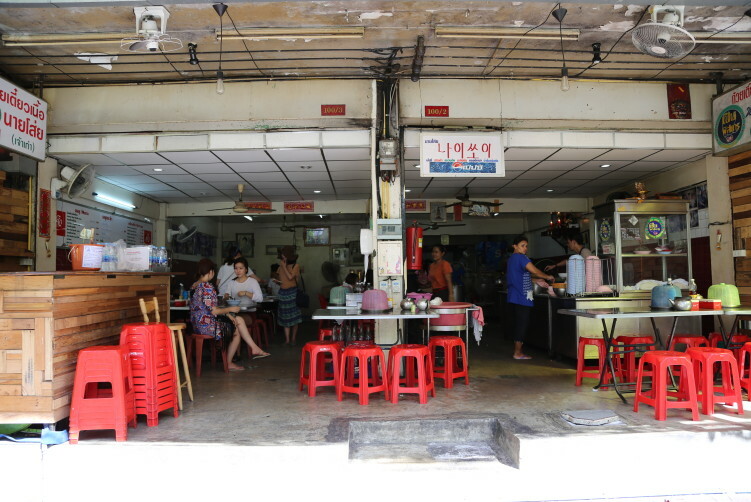 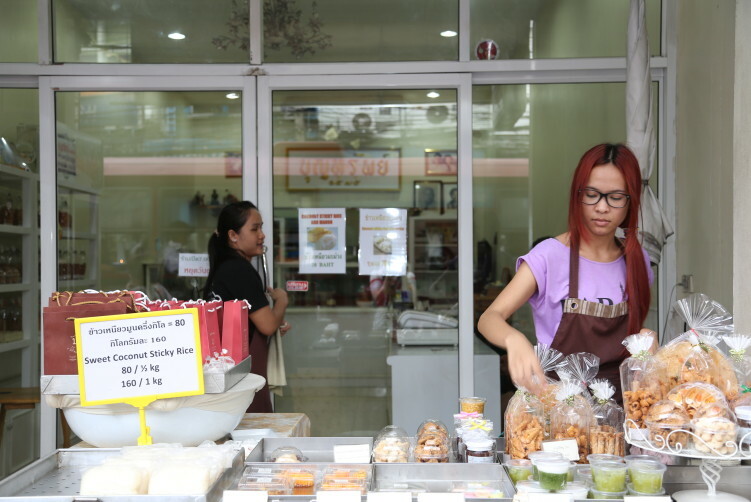 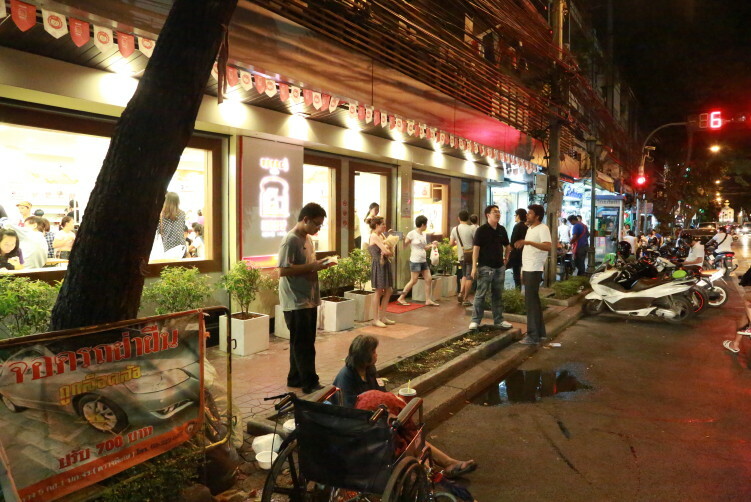 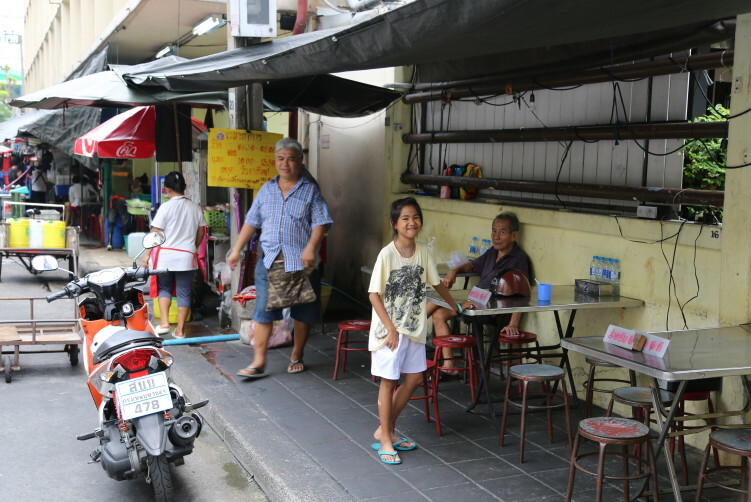 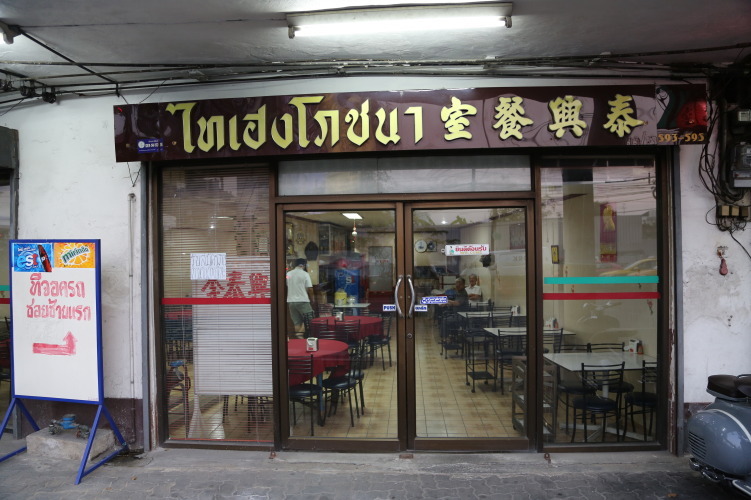 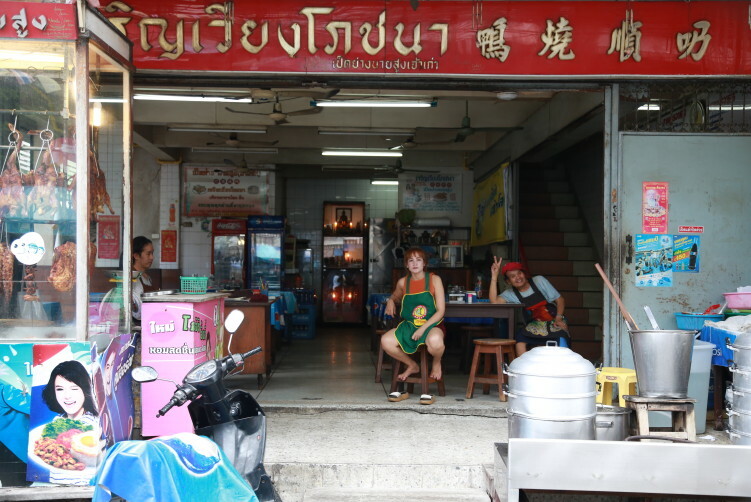 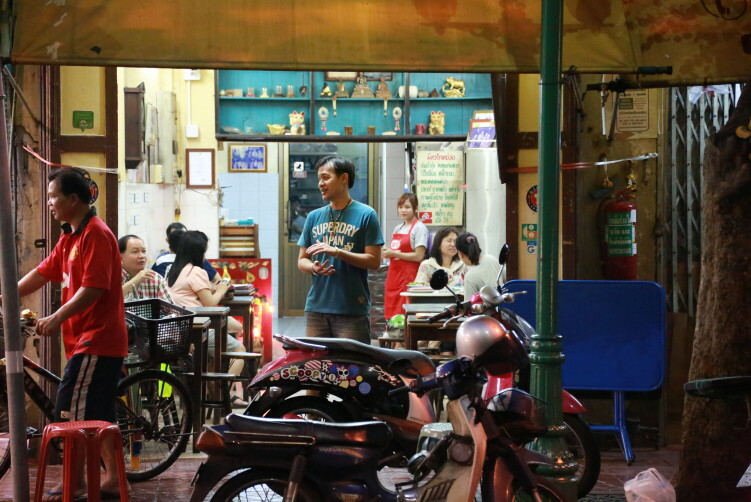 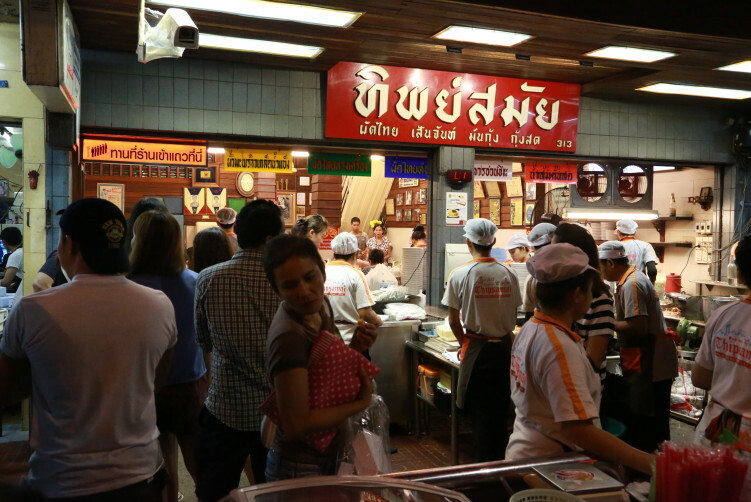 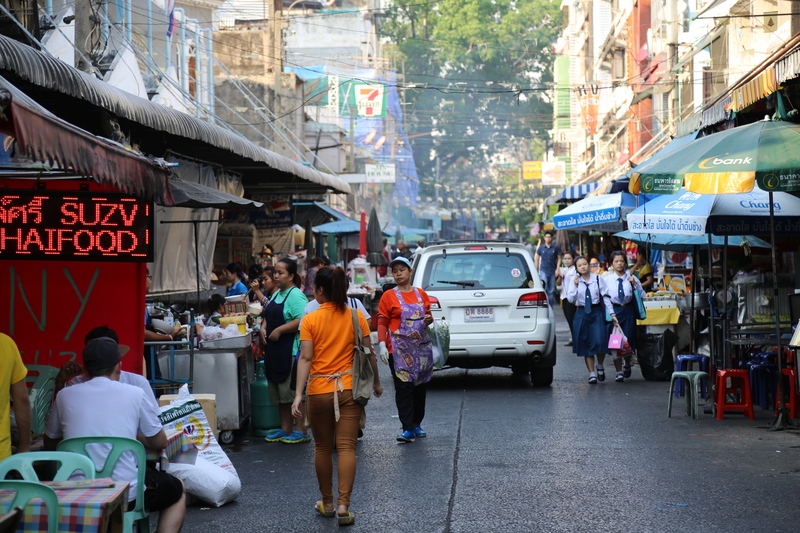 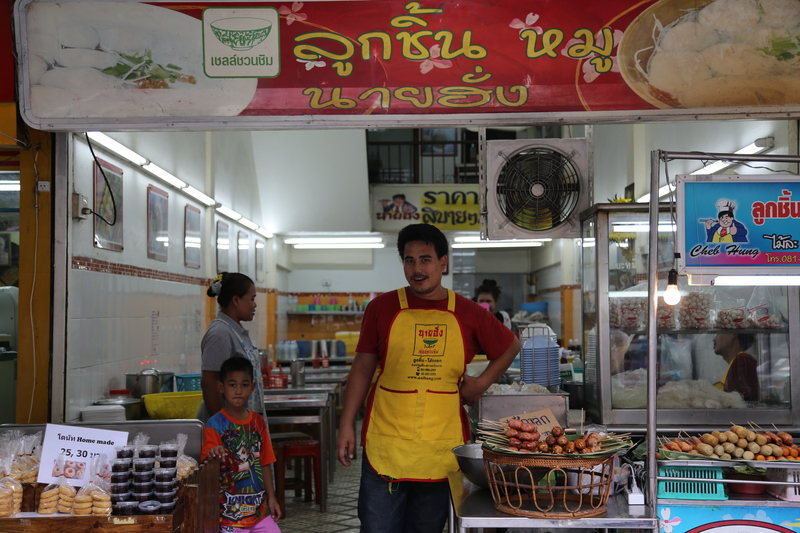 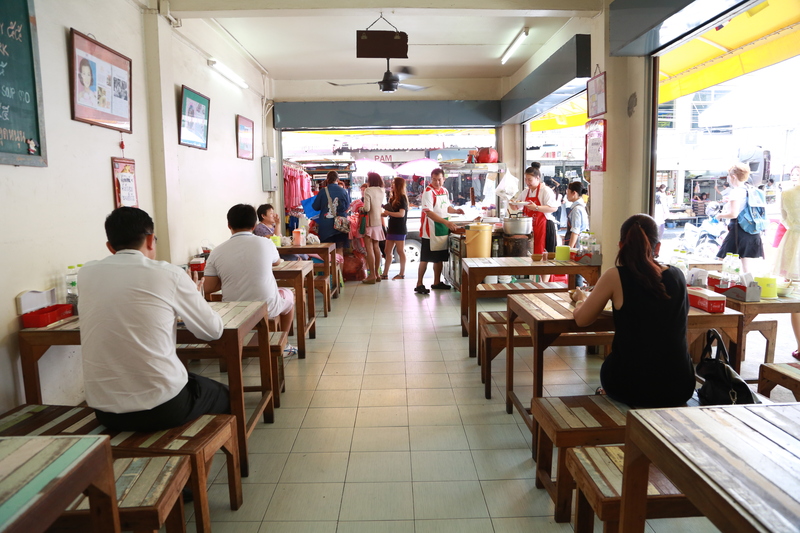 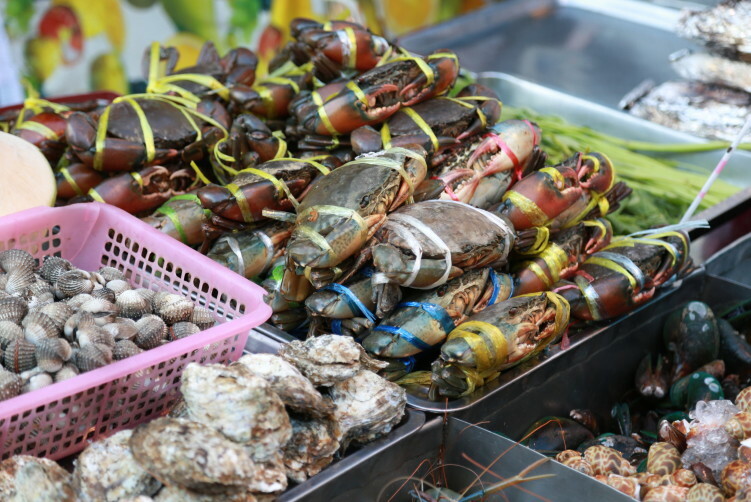 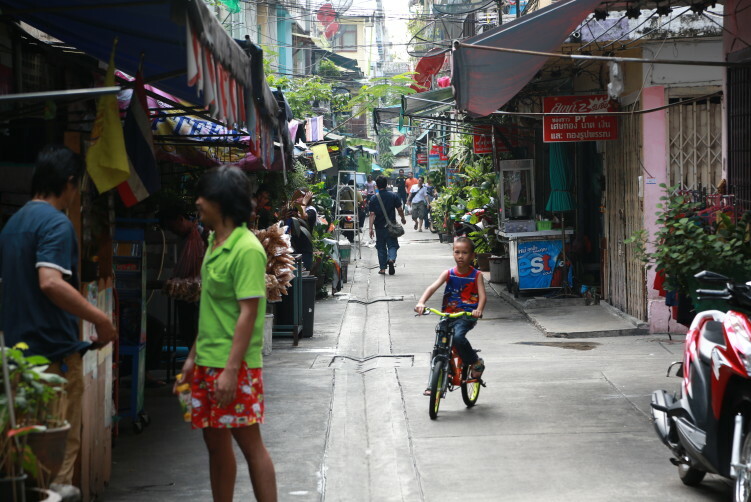 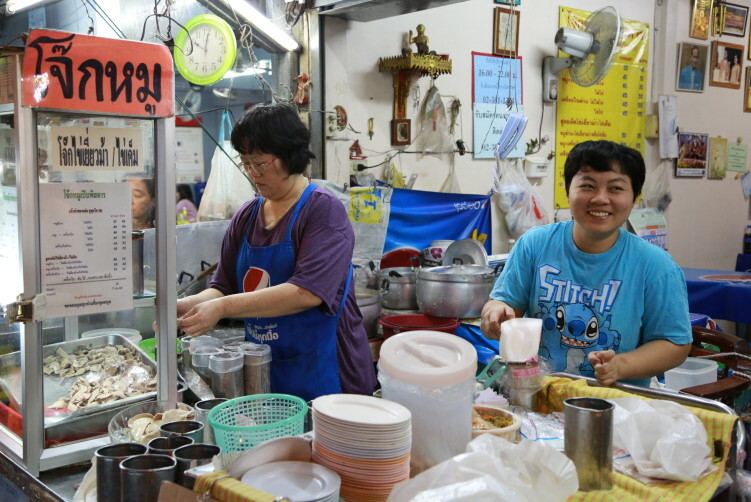 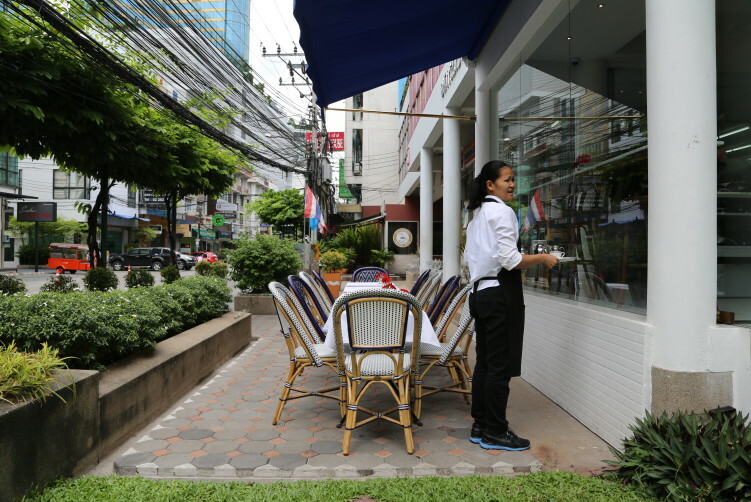 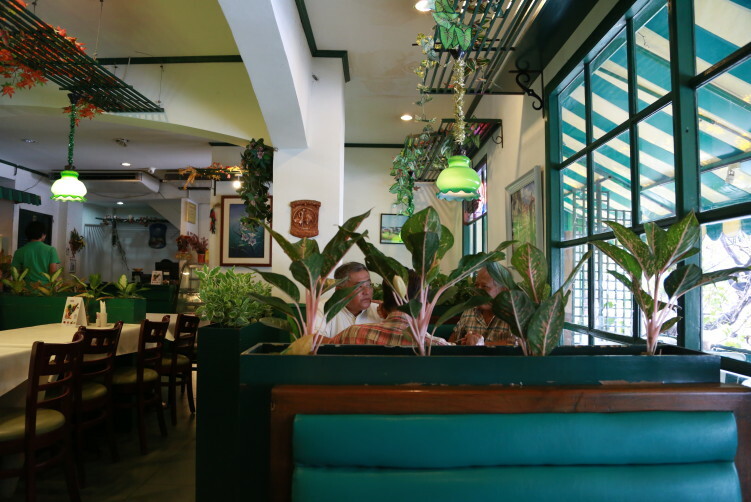 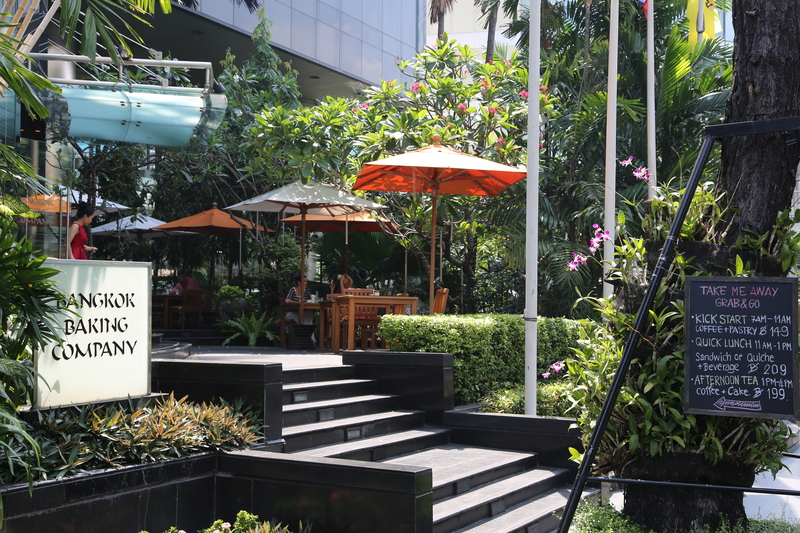 You find Shunbo rather deep into Sukhumvit Soi 11. 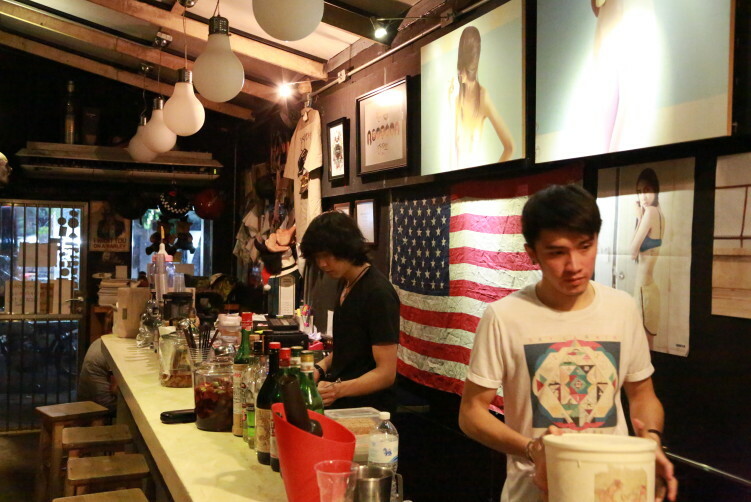 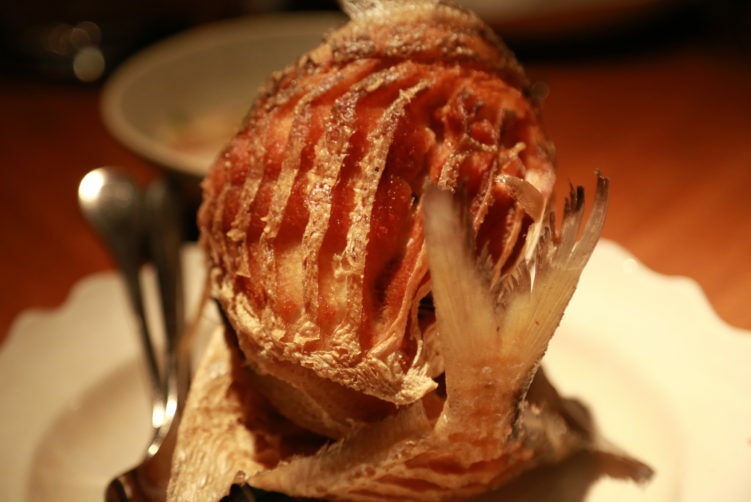 Don't let that scare you off, but take the opportunity to visit this Izakaya for a really good Japanese meal before stepping out into one of Bangkok's more famous clubbing zones. 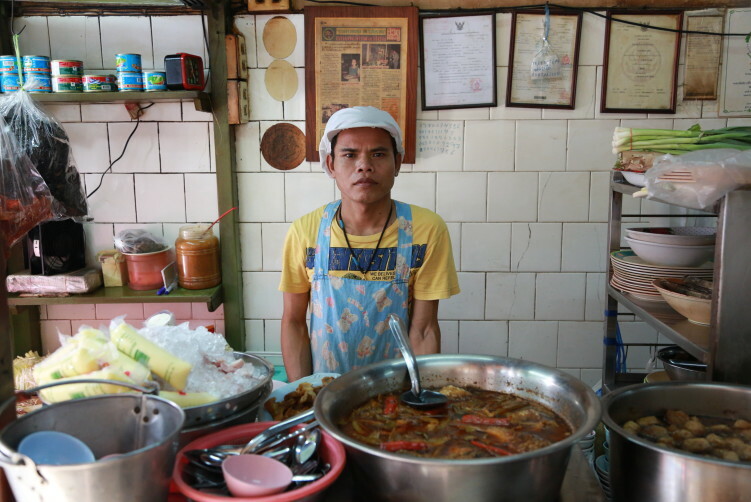 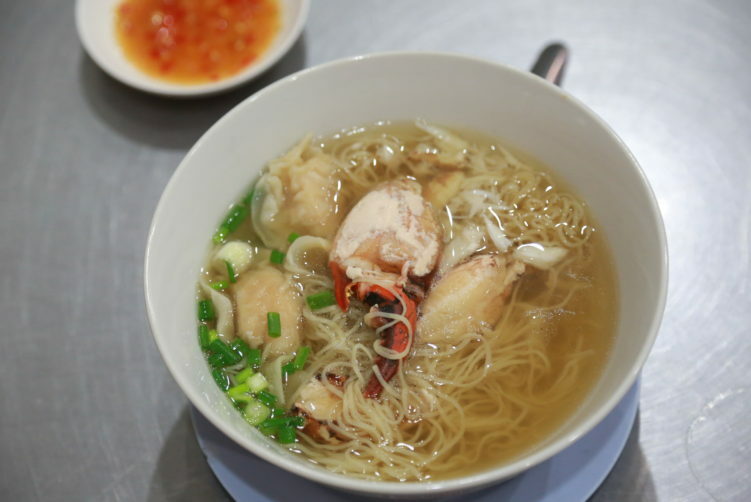 Odean is about big, bigger and biggest crab claws on top of a bowl of ba-mee up nam (crab noodle soup). 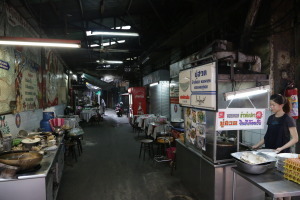 See StreetsideBangkok.com for full review.